Reach out and you will touch Me for I am not far from you. and find him, though he is not far from each one of us. Paul tells these dear pagan folks that God is so close to them that they can actually just reach out and they can touch Him for 'in Him we live and move and have our being'. The truth is that the universe does not contain God, God contains the universe! In Colossians 1, the Bible says that Jesus is the glue that holds everything together. Every proton, every electron, every atom... all held together by the very presence of Jesus. 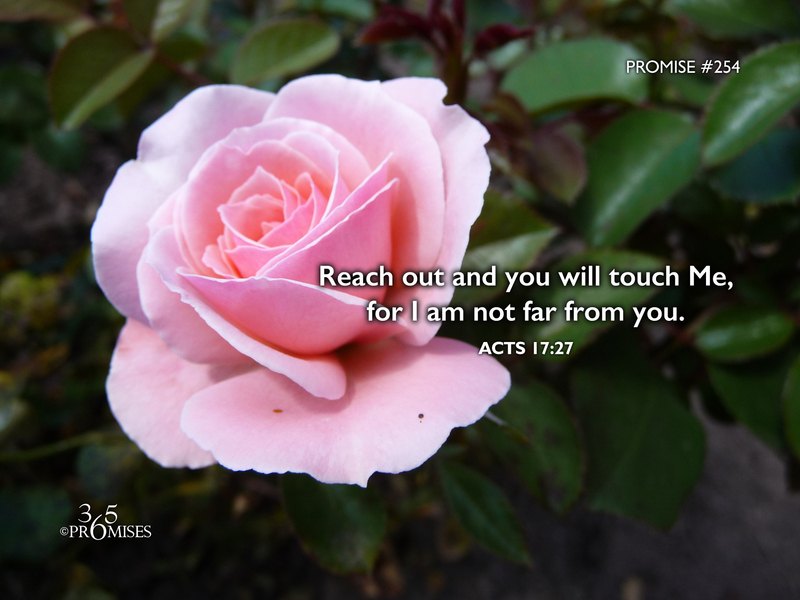 As you ponder this promise today, may God give you the awareness of His nearness to you. He is not far off in some distant land, but He is closer than you could possibly imagine! So reach out today and encounter the love of your Father that is with you wherever you go.